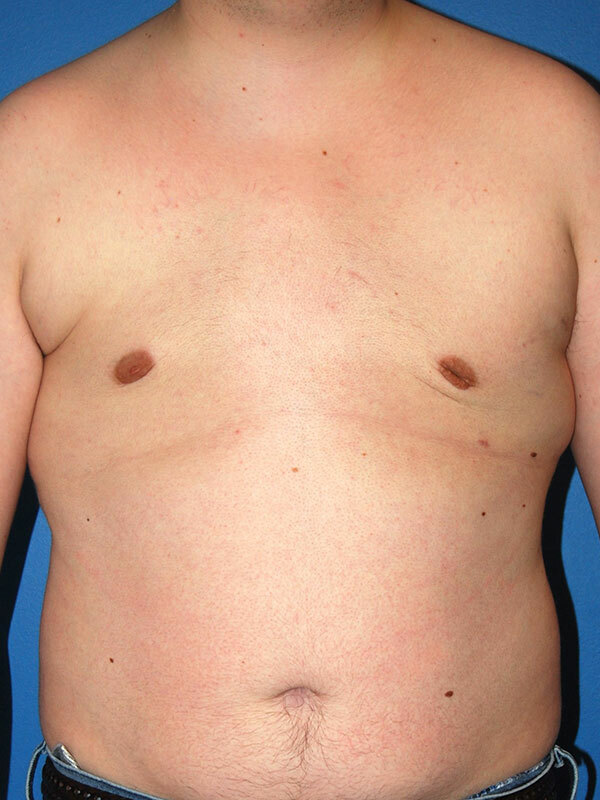 Patient is a 24 year old male whose breast shape was self-conscious about the appearance of his chest. 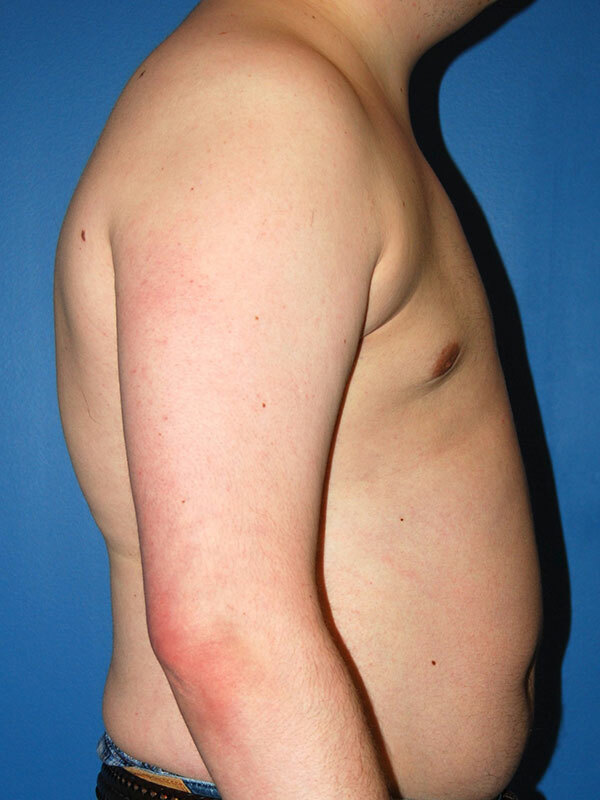 He underwent treatment of his gynecomastia with a periariolar incision and breast liposuction. 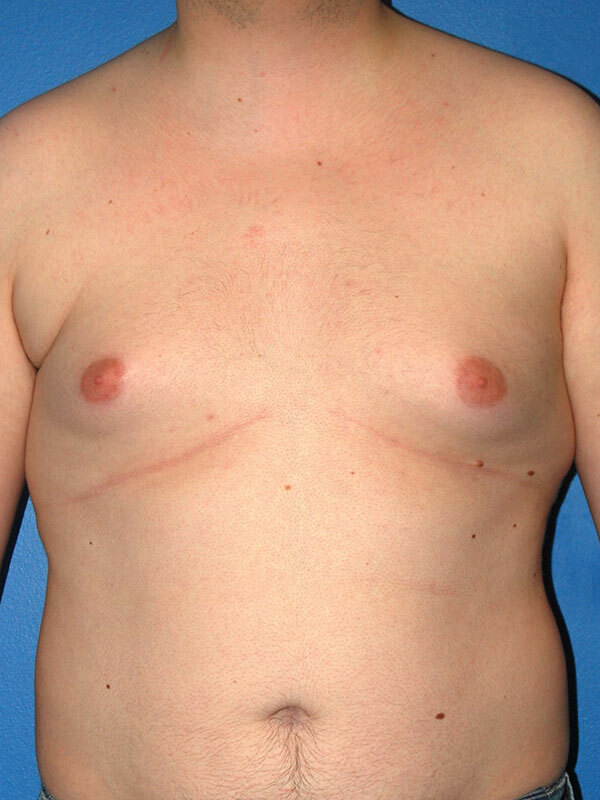 He is seen 6 months after surgery, very happy with his new chest appearance.